47746 struts its stuff on Thursday 10th through Romsey. New in August 1964 from Brush as D1754 allocated to 87E Landore. Renumbered to 47160 in February 1974, then 47605 in February 1984, followed by 47746 from March 1994. 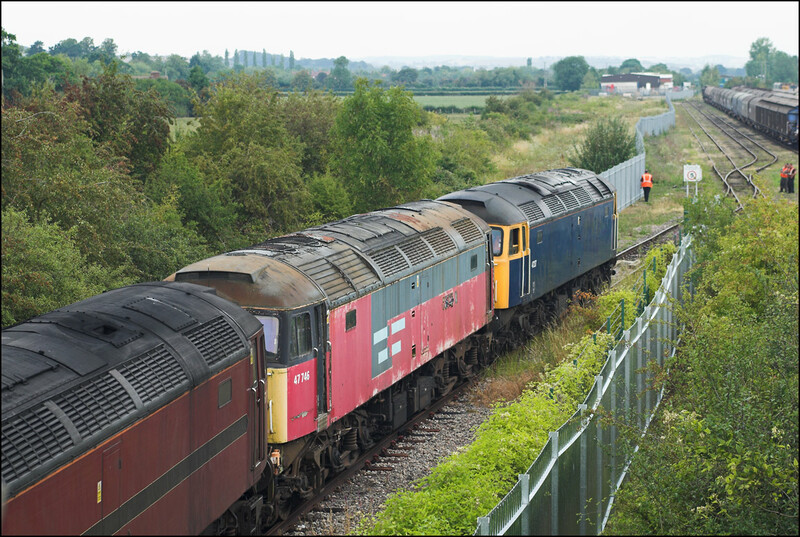 Withdrawn by EWS in January 2004, and "preserved" by The Brush Type 4 Fund in storage at Long Marston. 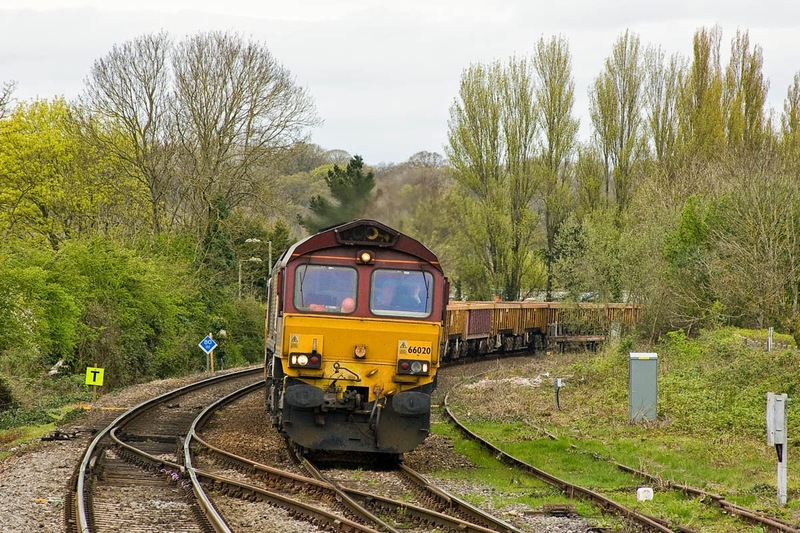 Moved to West Coast Railway Company in July 2011, Carnforth and returned to traffic in October 2013. 70804 0Z31 17:26 Westbury - Eastleigh passing Romsey, 11th April. Ordsall Lane derailment report published by RAIB (47500).